The ice skating rink at Tenaya Lodge is now open for the winter season. The covered rink gives you the best of both worlds — shelter from the elements, yet still open to the great outdoors. Come enjoy the romance and family fun of gliding over the ice while surrounded by the Sierra National Forest. 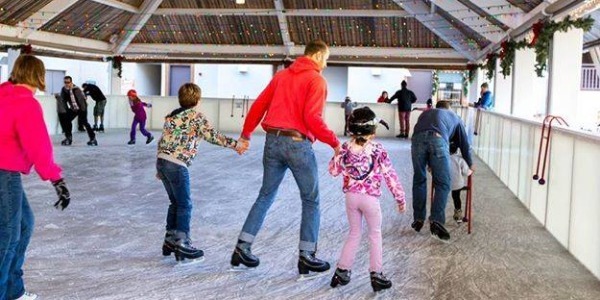 Skating sessions are $16.00 for adults, $13 for children 4-12 for a single 2 hour session. Full Day Passes are $26.00 for adults and $21.00 for children. The rink is open daily the following times. Note - activities can be dependent on weather conditions. For details on today's skating and session availability, call the concierge at (559) 692-8985.